The ANC says it will follow its internal processes in dealing with the judgment. The Johannesburg High Court found on Wednesday that the decision by the governing ANC’s national executive committee (NEC) to disband the party’s North West provincial executive committee (PEC), which was chaired by Supra Mahumapelo, was procedurally unfair and a breach of the party’s constitution and in violation of the “applicants section 19 constitutional rights”. Mahumapelo was, along with other disgruntled ANC members, seeking to have the ANC national executive committee’s decision to dissolve the party’s North West leadership dissolved set aside. Judge Fayeeza Kathree-Setiloane said: “The applicants are accordingly entitled to the declaratory relief sought,” which declares unlawful and sets aside the NEC’s decision to dissolve the North West PEC and subsequently appoint the provincial task team (PTT). “While a declaration of rights is important, it is not sufficient where the conduct of the respondent is unlawful for being in noncompliance with its own constitution as is the case here,” said Judge Kathree-Setiloane. The judge further ruled that leaving the PTT in place, as the governing party has contended, would constitute preserving an illegal state of affairs “in the absence of any explanation from the ANC as to why the court should countenance such illegality”. “A party seeking to preserve an illegal state of affairs must explain precisely why a court should countenance that illegality,” Kathree-Setiloane reiterated. She said the relief granted by the court should not only be just and equitable but should also be effective. “The applicants are therefore entitled to the consequential orders asked for in the notice of motion, namely, the interdictory relief and an order reinstating the disbanded PEC. She further ruled that the PTT was interdicted from carrying out any of the functions conferred on it by the ANC NEC and the governing party’s constitution. “The disbanded PEC is reinstated within two days of this court order,” Kathree-Setiloane said. The judge further ordered the ANC to pay the costs for the application including the costs of two counsel. Speaking to journalists following the ruling, Mahumapelo said: “Firstly, we are not elated because in the first place we were not supposed to be here today. The now reinstated North West PEC chair said the applicants were not happy because when the NEC was elected, the structure should take its “political work serious”. “The national executive committee must make sure that before you arrive at such a serious decision, you pause, you take time, you reflect on the possible political implications of your decision and you look at many other options before you take such a draconian decision,” Mahumapelo said. He added that the applicants have always argued for “political procedural fairness”, which he said the court confirmed with its ruling today. “So, we hope that this will provide an opportunity for us to listen to one another with our national executive committee and where we make mistakes, those mistakes must be corrected, allow the organisation to be united and allow the ANC in the North West province to prepare for victory in the elections in May,” Mahumapelo said. The NEC took the decision to dissolve the North West PEC last year following widespread violent protests throughout the province, with protesters calling for Mahumapelo to step down as the provincial premier, which he did. Mahumapelo said on Wednesday that pursuing unity within the ANC in the North West is “like a road that is perpetually under construction”. 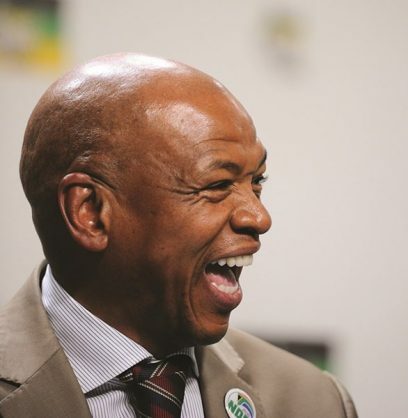 “So, you will never arrive at a stage where you say you have got total unity because the conditions under which you pursue such unity change all the time, that is why you will need to appreciate those differing ideas within the African National Congress,” Mahumapelo said. He added that “political differences” within the governing party should be used to strengthen the organisation rather than for targeting “comrades”. Mahumapelo said calls for the North West PEC to be disbanded started to be made before the governing party headed to its elective conference in December 2017 where Cyril Ramaphosa was elected as party president, beating his opponent Dr Nkosazana Dlamini-Zuma, whom it was widely reported was favoured by the former North West premier. He said after the outcome of the party’s elective conference in December 2017, the campaign to oust the North West PEC intensified. “We took pain to go, as the provincial officials, to see the NEC officials in February last year and we said to them ‘this is an analysis of our situation in the province, please intervene’ and they said they would come back to us and until today they [haven’t come back to us],” Mahumapelo said. Following today’s ruling and the fact that the governing party abides by the rule of law, Mahumapelo said he did not expect the party’s national leadership to act against the constitution of the country. In a statement, the ANC noted the judgment, saying it would study the full judgment “and make a determination on a course of action in due course”.